Dr. Jonathan Frank’s practice focuses on minimally invasive, arthroscopic surgery of the knee, shoulder, hip & elbow. His unique background includes extensive training and expertise in cartilage restoration, complex multi-ligament knee injuries, joint preserving osteotomies, as well as treatment of complex shoulder conditions, ranging from shoulder instability and rotator cuff repair surgery to shoulder replacement surgery. Dr. Frank is fellowship trained in Sports medicine and Joint Preservation Surgery and has a particular interest in taking care of athletes. 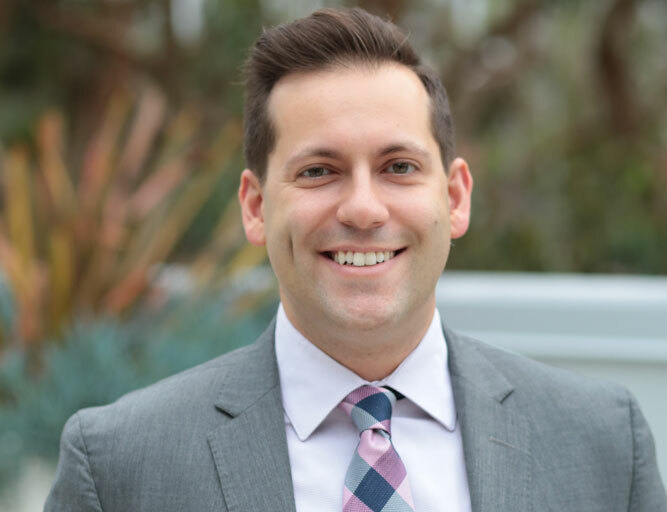 Growing up in sunny Southern California, Dr. Frank attended UCLA, earning dual degrees in History and Molecular, Cell and Developmental Biology, as well as minoring in Near Eastern Languages and Cultures. As an undergraduate, his research was published in multiple scientific journals. Upon completion of his undergraduate studies, he conducted an additional year of research in the Department of Neurology at Cedar Sinai Medical Center. He further pursued his research interests while attending the UCLA School of Medicine where he earned multiple distinctions and presented his research in both regional and national orthopedic conferences.